3) Select PPPoE then Dynamic IP then give username, password. Then Select Always on then clear DNS Server Entries (i.e. 0.0.0.0). Then click Save setting. 4) Router will restart. Again follow step 1 after router restarts. 5) Click on Wireless Setting on Left pane, then click "Manual Wireless Network Setup"
6) Give wifi name, security mode, security key and Click Save settings button to apply settings. 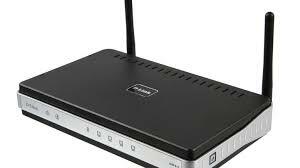 7) Open your computer, open wireless network, select your wireless name and click Connect. Then put the wifi password when asked.